White Hall Plumbing & Hydronics has a team full of highly trained professionals, from the office staff to field personnel, in Commercial Plumbing. 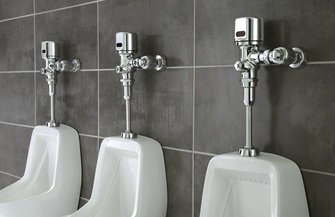 Whether you have a new construction commercial facility, renovating an existing facility or if you are in need of a plumbing service, our sophisticated, knowledgeable staff is here to assist you. Our portfolio includes, Restaurants, Hotels/Apartments/Condominiums, Medical Facilities, Shopping Centers, Funeral Homes, Assisted Living, Religious facilities, Office Buildings, Education Facilities/Schools and much more…. We also offer backflow testing and code updates! The White Hall Plumbing & Hydronics Commercial Division looks forward to working with you on your next Commercial Project!